Featured Property for Sale: Some of the best properties for sale are displayed right here. As experts in the New Jersey area real estate market, we can provide you detailed information on these homes, or any others. For home buyers, our knowledge of the Central NJ real estate market is second to none. We know the neighborhoods, the current market conditions, and the opportunities for buyers in today’s market. Our buyer specialists are committed to helping you find the home you want at the best possible price. Finding your dream home or finding a buyer is only part of the challenge of a successful transaction. 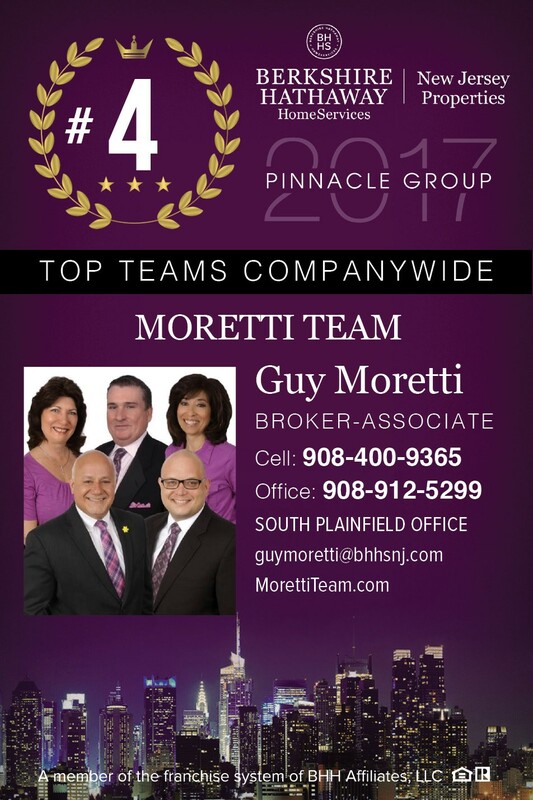 There are many details that need to be managed through closing, and Moretti Realty brings the depth and breadth of skills and experience required to ensure your transactions go smoothly. Our commitment is to provide you the quality of service and communication you desire and deserve.